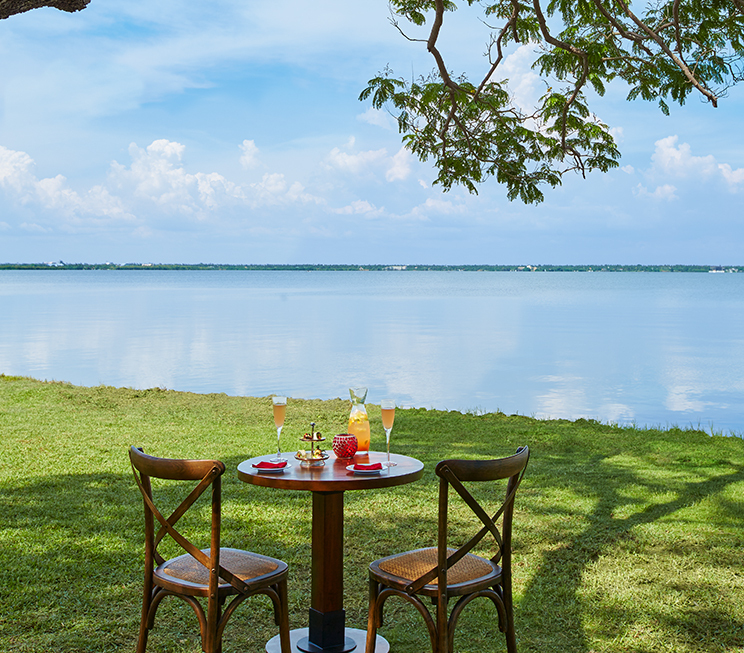 With some of the finest restaurants in Negombo, dining at Jetwing Lagoon is always a memorable experience. Two expansive open-air restaurants join a stylish bar by our pool, and another overlooking the lagoon with the added pleasure of choosing from six unique Signature Dining experiences to indulge in our legendary hospitality. 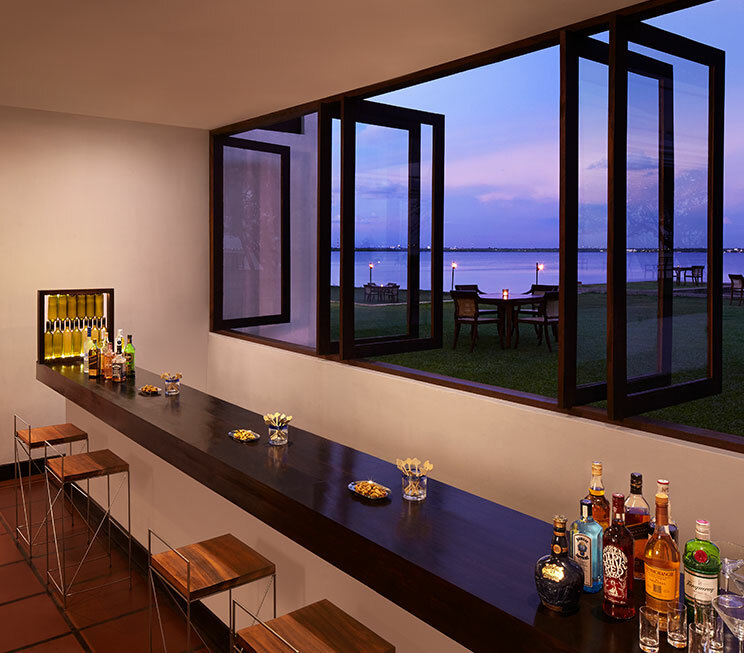 Staying true to its name, the Blue Lagoon is a spacious restaurant overlooking the magnificent inland waters of Negombo. As a casual dining space at our home of hospitality, Blue Lagoon enjoys a comforting ambience of serenity that allows you to enjoy a range of culinary delights at your leisure. 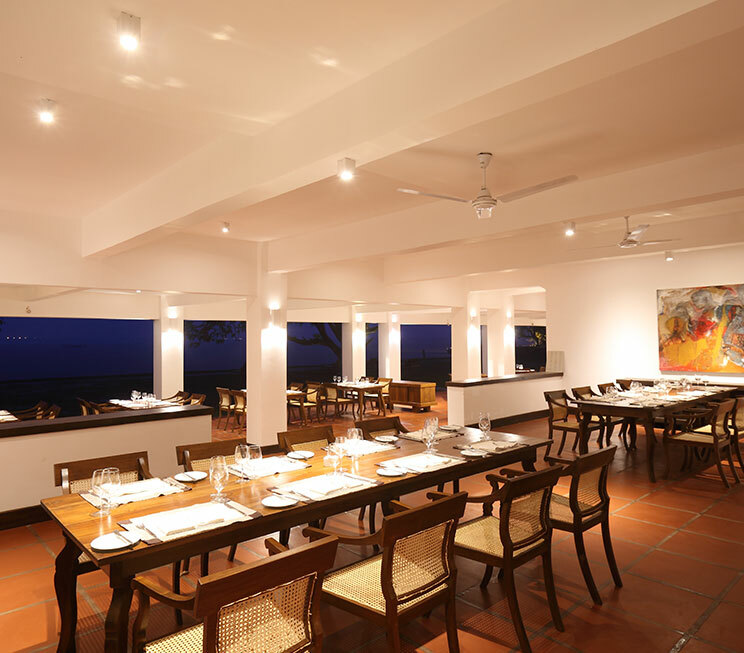 As an alternative, the tropical modernist space of Geoffrey’s Pavilion serves as a fine dining and à la carte restaurant named after Sri Lanka’s most celebrated architect. 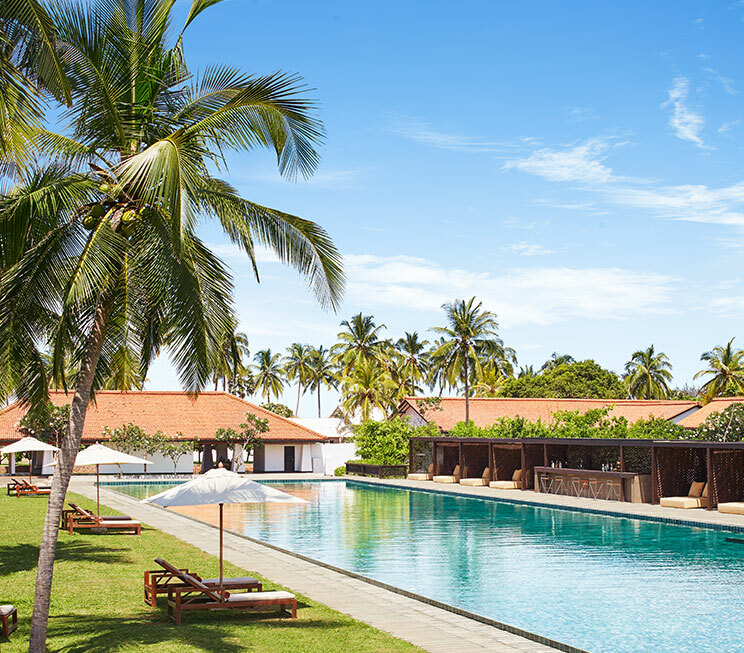 Both restaurants plate up a variety of cuisines for every palate, including authentic Sri Lankan and traditional western, among a number of seafood specialties such as the famed crabs and prawns of the Negombo lagoon. For unwinding with a drink in hand, the Kalapuwa Bar and Lounge is a relaxing indoor atmosphere that gets its vernacular name from our lagoon, while the 100 Meters pool bar aptly refers to the length of the longest swimming pool on our island’s western coastline. Serving up an exotic selection of tropical cocktails and mocktails, alongside fine wines and spirits, you are truly spoiled for choice amidst the luxury accommodation at Jetwing Lagoon. 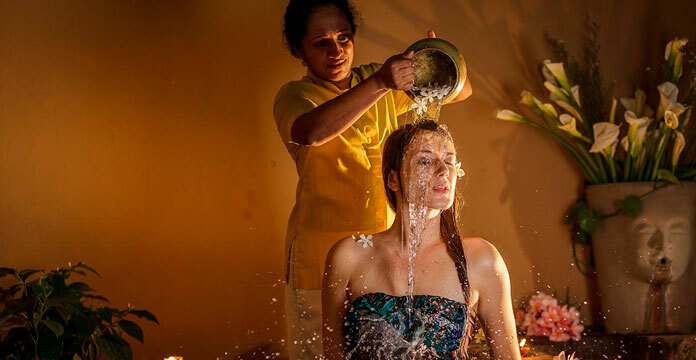 Finally, as a pleasure of our legendary hospitality, we also invite you to indulge in six unique Signature Dining experiences in Negombo. Choose to enjoy your meals against a range of stunning backdrops at Jetwing Lagoon, including a private pier over the water, amidst our lush gardens, on the deck of our long pool, beside the Indian Ocean, or even in the blissful haven of our Ayurvedic Spa. For a healthy dining experience, we also offer a nutritious menu consisting of vegan and vegetarian meals, while the option of dining in the comforts of your own room is also available, should you wish to savour your meals in absolute privacy. 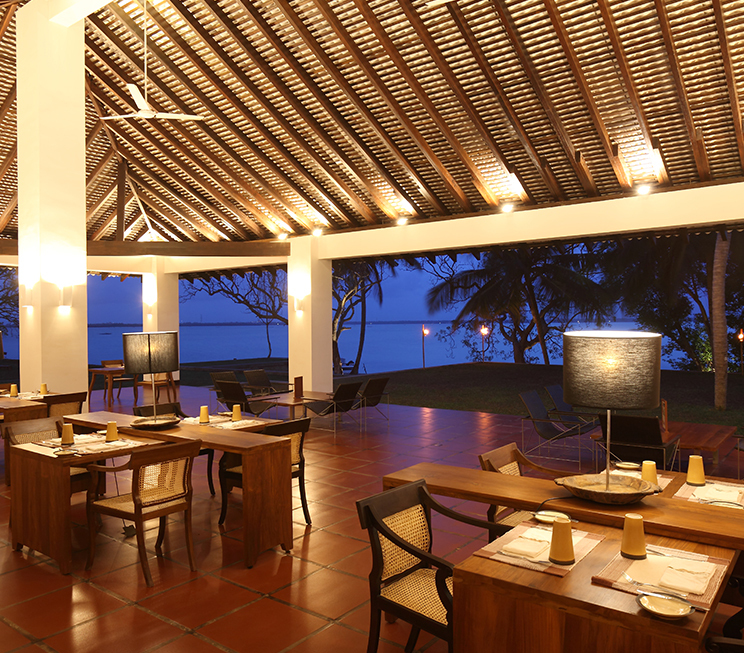 An open-air dining space overlooking the Negombo Lagoon. Our tropical modernist restaurant named in honour of Geoffrey Bawa. An elegant lounge and bar set in the comforting atmosphere of our luxurious surroundings. The bar by our pool, named after its length – the longest on the western coastline. 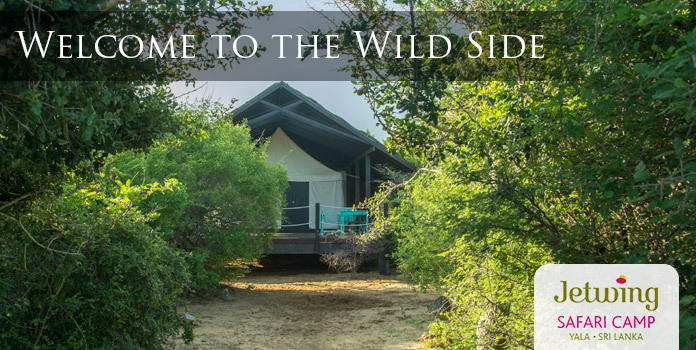 Six distinct dining experiences found across our tranquil landscapes.